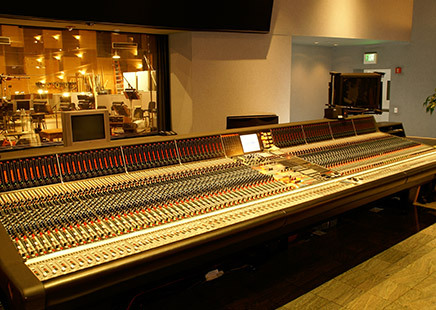 The Barbra Streisand Scoring Stage is one of the largest motion picture scoring venues in the world. 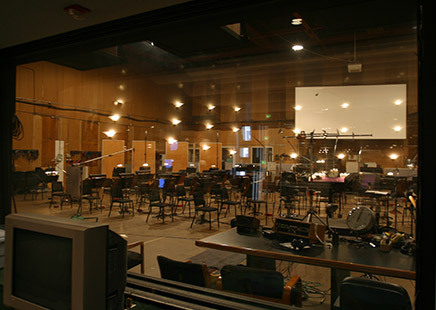 The main scoring area has remained unchanged since the 1930s to preserve the unmatched acoustics and unique ambiance that have impressed generations of filmmakers around the globe. An MGM shooting stage until the late twenties, one of its first scoring projects was The Wizard of Oz (1939, Herbert Stothart). Since that auspicious beginning, the stage has been primarily dedicated to the art of film scoring and has produced some of the most famous scores of all time, including Gone with the Wind (1939, Max Steiner); Anchors Aweigh (1945, George Stoll); An American in Paris (1951, Johnny Green and Saul Chaplin); Ben Hur (1959, Miklos Rozsa); Lawrence of Arabia (1962, Maurice Jarre); and Doctor Zhivago (1965, Maurice Jarre). Other scores within the last three decades include ET (John Williams); Schindler’s List (John Williams); Toy Story (Randy Newman); Forrest Gump (Alan Silvestri); Spider-Man (Danny Elfman); and Black Hawk Down (Hans Zimmer). The largest session consisted of an 80-piece orchestra with a 100 person choir for "Empire of the Sun." To book the Scoring Stage, contact Julianne McCormack at 310-244-5714.